On International Women’s Day 2017 I could write about famous women that lots of people (although still not enough) already know about. I could write honouring the wonderful women in my life, but other social media platforms are the way to do that. Instead I would like to introduce you to three influential voices of women in Meteorology, recognising my multiple work roles as a climate scientist, President of the Royal Meteorological Society and Dean for Diversity and Inclusion. Forgive the length of the post, there is so much to say about each! This strikes me as still relevant to both Equality and climate change work today. Eleanor Ormerod (1828-1901) was the first woman to be made a Fellow of the Royal Meteorological Society. Passionate about insects from childhood, she became an authority on “Injurious insects and Farm Pests”. Her works was honoured in time by Royal Horticultural Society who awarded her the Flora medal, the Royal Agricultural Society who appointed her as consulting entomologist, the University of Moscow from whom she received silver and gold medals from the University of Moscow for her models of insects injurious to plants and the Société nationale d’acclimatation de France who awarded her a silver medal. Eleanor’s link with meteorology came via her brother, much of her interest being in the relationship of weather to insects. She compiled and analyzed weather data extensively, and published in the Quarterly Journal of the Royal Meteorological Society. I chose Eleanor because of the link between entomology, my late father’s field, and meteorology, mine. In addition, she is said to have been the inspiration for Gaskells heroine in Wives and Daughters and for a short story by Virginia Woolf; an excellent cross-over between science and literature. Joanne Simpson (1923-2010) was the first female meteorologist with a Ph.D. Fascinated by clouds as a child, she might well have gone into astrophysics were it not for the intervention of World War II. As a trainee pilot she had to study meteorology and after getting her training from Carl Gustaf Rossby’s new World War II meteorology programme, spent the war years teaching meteorology to Aviation cadets. Her PhD work focussed on clouds, then regarded as not a particularly important part of the subject, but her early research based revealed cloud patterns from maps drawn from films taken on tropical flights. Subsequently she went on to show how tropical “hot tower” clouds actually drive the tropical circulation, and to propose a new process by which hurricanes maintain their “warm core”. Following stints at UCLA, NOAA and the University of Virginia, Joanne ended up at NASA Goddard Space Flight Centre where for the first time she met other women meteorologists. It was here that she made what she described as the single biggest accomplishment in her career. She was asked to lead the “study” science team for the Tropical Rainfall Measuring Mission (TRMM) – a satellite carrying the first space-based rain radar. Working with project engineers and recruiting many scientists, Joanne worked on TRMM from 1986 until its launch in 1997. TRMM has led to many discoveries about tropical rainfall, including in 2002 the ability to estimate latent heat in the tropics. This work linked directly back to Joanne’s early work on tropical cloud processes. Rightly recognised, Joanne was granted membership to the National Academy of Engineering, awarded the Carl-Gustaf Rossby Award (the highest honor bestowed by the American Meteorological Society), presented with a Guggenheim Fellowship. I chose Joanne because she served as President of the American Meteorological Society, as I am serving as President of the Royal Meteorological Society this year. You can read much more about Joanne Simpson in this excellent portrait at NASA. Today the news has been full of a study in the USA which reported that girls as young as 6 or 7 start to remove themselves from challenges associated with being “really really smart”. The research, by Lin Bian, Sarah-Jane Leslie and Andrew Cimpian of the Universities of Illinois, New York University and Princeton found that around the ages of 6-7, there started to emerge a difference in the way boys and girls viewed being “really really smart” in relation to their own gender. Wanting to explore the origin of the widespread “brilliance = male” stereotype that has been used to explain the lack of women in many occupations including science and engineering, and been demonstrated in reference writing, (more studies), they used younger participants than previous studies. Over 4 different studies they discovered that 5 year olds were equally likely to rate members of their own gender as being brilliant, but that by age 6-7, girls were statistically significantly less likely to rate members of their own gender as brilliant. A corresponding question about rating pictures of people as ” really really nice” started to reveal the opposite stereotype about women being nicer than men. The older children in the study also started to dissociate high school marks with “being clever” – they identified that girls got better marks in class than boys but did not associate this with girls being clever. (Actually the rest of us could probably learn something from this- some of the cleverest people I know would not “look” clever on paper as they may have finished formal education early and learnt in other ways – too often smart= good marks). So these studies showed that children are influenced by gender stereotypes in relation to brilliance and niceness sufficiently such that they start to show these stereotypes around the ages of 6-7 (it should be noted that this study included mainly middle-class children of whom 75% were white, therefore it would be interesting to see how the conclusions differ across different cohorts). But it also showed some evidence that it influences choices made. Given a choice of two games, one presented as for those who work really hard, and one for those who are really really smart, both genders showed similar interest in the “try hard” game at all ages, but girls showed significantly less interest in the “really smart” game at ages 6 and 7. In order to tell if these results actually have an influence on career paths, we would need to complete a longitudinal study of many many children and their influences. One such study is underway as part of the ASPIRES project run from Professor Louise Archer’s team at Kings College London. Whilst we wait for the second phase of that study to take us all the way from 10-18, we can perhaps start to piece together the new work with even younger children. The ASPIRES work with 10-14 year olds suggests that children of this age and their parents strongly associate science with masculinity and science with cleverness. Whilst girls claim to enjoy science, they can’t see themselves in science careers. Those girls who are defined as “science keen” either by themselves or others often struggle to combine this interest with other stereotypical views of femininity or “girliness” – needing to engage in “identity work” to feel comfortable with their choices. “Science-keen” girls in the Archer et al (2012,2013) studies come in two flavours – those who also excel in other areas, e.g. sport, music etc and take pains to emphasise their “roundedness” and those who adopt the “blue-stocking” or nerdy approach. All the science-keen girls in this study were middle-class. There are many many studies of how stereotype threat affects college-age students and beyond, brilliantly collected in “Whistling Vivaldi” which broadens the discussion from gender to other characteristics such as race and ethnicity – or indeed the i ntersectionality of gender and race. A highly recommended read for evidence based studies over a range of conditions and subject areas, you can hear Claude Steele talk about how he came to write the book, or watch a longer Claude Steele lecture. Given the compelling number of studies demonstrating the awareness of stereotypes at an ever younger age, and the studies of older students showing real effect on subject choice and career path, it would be easy as someone who cares passionately about all children having as many doors open to them as possible to get disheartened and think “it will ever be thus”. However, if stereotypes are starting to take hold and influence choices at 6 and 7 then it is probably also a good time to intervene. Talking to some primary school teachers and children in year 3 and 4 i.e. ages 8-9 it is clear that it is possible at this age to intervene appropriately and reset stereotypes at least in the School environment. My 9 year-old can explain that “it used to be thought women weren’t intelligent enough to make decisions like voting but now we know that’s not true at all”. It is clear to me that we need to begin our work with much younger age groups than we work with traditionally. And finally, we should perhaps try to convey that “brilliance” has several definitions. Yes, it can be defined as ” exceptionally clever or talented” but it can also mean “of light, radiant, blazing, beaming” . Now that might be something to aspire to for all of us. How do we know it’s working? Book two tracking changes in pupils attitudes. A global citizenship toolkit by RISC, 2015 available from www.risc.org.uk/toolkit Fantastic classroom ideas covering diversity and equality alongside other global citizenship issues. http://www.amightygirl.com/ Very good for links to books and facebook feed showcasing important women, many of them scientists and engineers. Why do I “do” diversity and inclusion? This week my job share in the role of Dean for Diversity and Inclusion, Simon Chandler-Wilde, and I have been doing the first of several discussion sessions for staff at University of Reading. We are presenting our initial plans for making our University more diverse and inclusive and asking for feedback on proposed actions to get towards the Diversity and Inclusion targets recently agreed by our University Executive Board (such as increase in women in professorial roles and better representation of women and BAME staff on strategic decision making committees). One question we got asked was… “you obviously chose to apply for these roles, so what got you into it?”. Here is the answer I gave, the first parts of which I have said before, but the final part I only realised when answering the question! One of my core values is enabling people to reach their full potential. I have always mentored formally and informally and I love teaching. As a Head of Department I was responsible for career and personal development of academic and research staff. The most joyful parts of my job have been hearing that people have got the degree, new job, promotion or publication that they really deserved. I have literally jumped up and down in my office on several occasions. So a role in promoting and driving diversity and inclusion is very closely aligned to my core values. When I was 7 I asked my Dad why only boys were allowed to sing in the church choir (he was in it himself). He told me to ask the vicar, who didn’t have a defensible answer (arguments are sometimes made about the different tonal quality of boys voices compared to girls but this was not a high cathedral choir). So two of us joined and pretty soon the number of junior choristers soared now that they could access the talent of the girls. When I was 12 my male physics teacher told me that girls didn’t do physics. When people tell me I can’t do something, that tends to motivate me to do exactly that (within the confines of socially acceptable behaviour and without breaking laws obviously). Later on, when I told the careers advisor that I wanted to do physics at university, he said “well I suppose you could be a teacher”. I AM a teacher of sorts but I don’t think this is what he had in mind! My first (and possibly only) bit of direct campaigning so far concerned the fact that at the boys school in our town they were allowed to study for 10 GCSEs whilst us girls were only allowed to do 8 subjects. To their credit, the school arranged for our Head mistress to teach a class of 6 of us French every morning before school so that we could do 9 subjects, which was a big commitment, but I was never given a satisfactory answer as to why we couldn’t do the same number in the first place. I have told those stories before. But yesterday it also struck me that there has been another driver in recent years. Having children exposes you to all sorts of gender stereotypes about working parents, mothers versus fathers etc. However, it’s when my children started school, in a primary school that serves a catchment area with great diversity in terms of race, ethnicity, socio-economic background and relationship with education, that I really became aware of some of my own biases. Not only that, but I realised that many of my children’s friends will not have the opportunities that they should have because of various biases, be that relating to gender, race or socio-economic background. Of course at University we see the product of these biases in that students from different backgrounds face additional challenges in applying to, being accepted at and progressing through their courses. So I took this job in the hope that I can do something, in a small way, to ensure that all my children’s classmates get the opportunities they deserve. The University is my home environment so I start here, but I am now starting to be able to use the learning from this role to challenge my own biases and the behaviour in the School too. 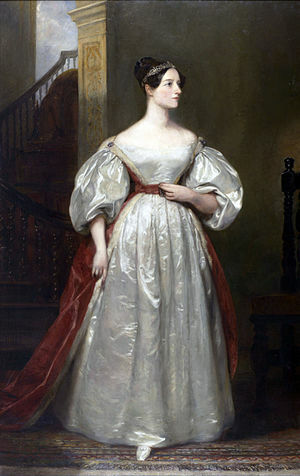 Today is Ada Lovelace Day, created as an international celebration of the achievements of women in science, technology, engineering and maths (STEM). Two years ago I wrote a blog listing women in science that had inspired me, and invited colleagues to provide their female inspirations from the STEM world. You can see the original blog here . Since then, there has been much attention on women in STEM, from government reports, the recent People Like Me campaign from WISE, and the infamous cases of “that” shirt and Tim Hunt’s remarks, about which debate still rages. Athene Donald posted a blog yesterday encouraging us to examine our own biases and question whether we are doing our bit to supporting the next “Ada”. Interestingly, she mentions the implicit bias tests that many of us have been prompted to take, revealing a stronger association of men with science than women. I was shocked when I found a similar result for myself last year – I had a strong implicit bias for men and career vs women and home. The exact opposite of everything that I outwardly advocate and support. Since then I have been doing much exploring about bias and irrational thinking and can recommend “Irrationality: The enemy within” by Ben Goldacre (Foreword) and Stuart Sutherland (Author). There is no easy answer as to how to guard against these biases but I am starting to understand how and when they are most likely to come into play. Undoubtedly exposure to diverse voices and personality could play a major role in challenging our biases. Over the past 2 years, Twitter has been a key part of broadening the diversity of my network and experience. I can engage in debates, discussions and everyday life with people across the world and across disciplines in a way that would have been a challenge before social media. Today then, for Ada Lovelace Day 2015, I offer you the social media version of my inspiration list. These people have opened my eyes wider, and for that, I thank them. 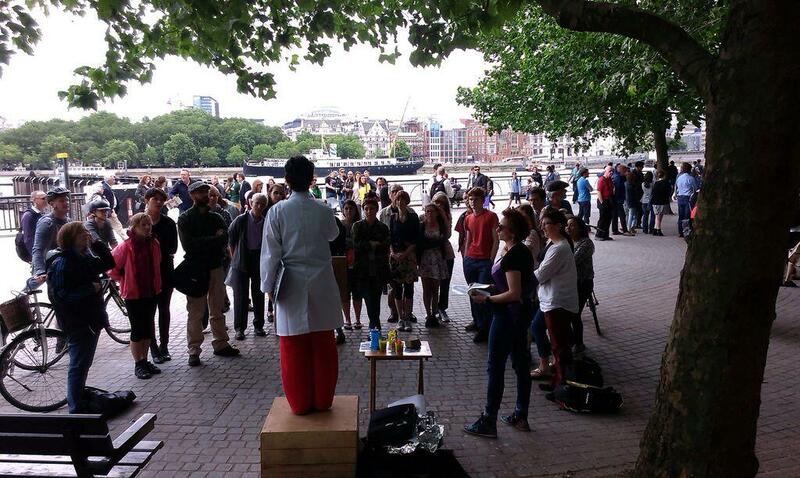 Nathalie Pettorelli @Petorelli Ecologist, @SoapboxScience co-founder – Nathalie gave me the opportunity to stand on the South Bank in London and talk about aerosols, which re-ignited my love of science communication. And if you are looking for something to do to celebrate Ada Lovelace Day 2015, why not do one of the things on the “Just one action for women in science” list, also started by Athene. 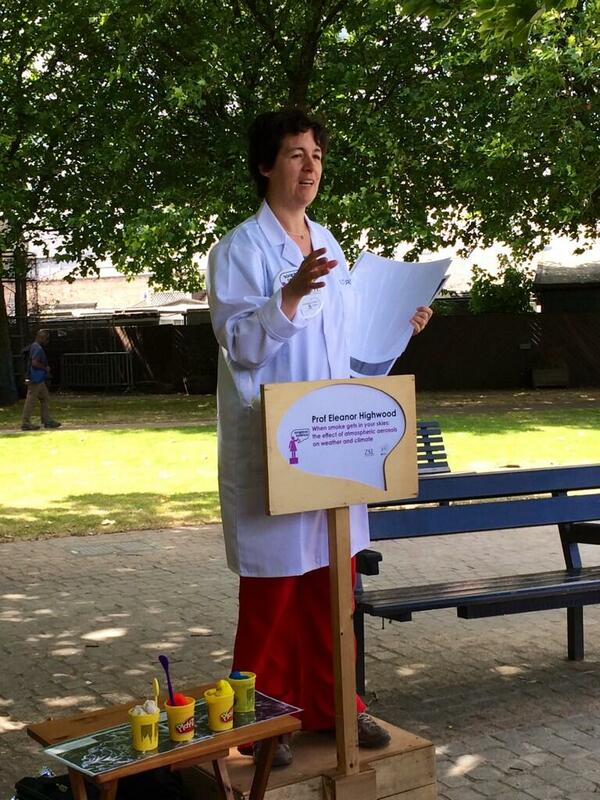 Ada Lovelace Day 2013: Which female scientists inspire us? I emailed my list of women scientists whom I have admired, or from whom I have drawn inspiration to my work colleagues, and now I’m posting it here. Each of them are admired for different qualities or acheivements, and by no means do I admire 100% of any of many of them. Also, I do draw inspriation from male scientists and engineers and from non-scientists, but I list the women here in honour of Ada Lovelace Day. I have added in purple suggestions sent by my colleagues in response to my original email. Thank you! try to redress the balance.